Save by bundling your lodgings and flights. Expedia has heaps of excellent Corona vacation packages that'll save you time and give you more cash to splurge! Pick from more than 400 partner airlines and 321,000 worldwide properties via our enormous database of lodgings and flights. Fly with who you want, stay wherever you want — now that's a dream vacation! Rest assured that you may cancel almost any hotel reservation and you won't pay any extra fees to us. Getting ready to head off on your Corona vacation? Can't work out what sorts of things to put on your travel schedule? No need to fret — we're here to give you a few of our top tips. Fender Museum puts on an array of festivals, performances and exhibits throughout the year. Look up the schedule of events to find an activity that suits. Adventurers have heaps of options in and around this destination. If amusement parks are your idea of fun, you're in luck! Whether you enjoy a good thrill or you prefer a gentler pace, Castle Park Amusement Park has the perfect ride for you. Still have some time on your hands? Abandon your history journals! Witness the past jump off the page at Corona Heritage Park and Museum. With approximately 17 properties situated close to the city center, looking for a place to rest your head in Corona will be a breeze. Book now via Expedia for the best rates on cheap vacations and luxury getaways. 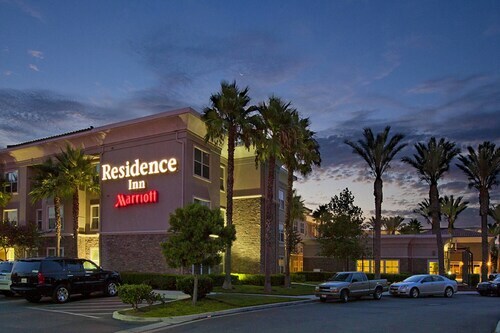 At the Fairfield Inn & Suites Riverside Corona/Norco (3441 Hamner Avenue) and the Residence Inn by Marriott Corona Riverside (1015 Montecito Dr) you'll find snuggly beds, excellent amenities and good reviews! The airport probably isn't going to be the most entertaining part of your vacation, but there's nothing like the feeling of knowing that your trip to Corona is a mere plane ride away! Once you disembark at Los Angeles - Ontario International Airport (ONT), you'll be 13 miles (21 km) from the center of town. Situated in Corona, this motel is 1.3 mi (2.1 km) from Fender Museum and 3.1 mi (5 km) from Corona Heritage Park and Museum. Lake Norconian and La Sierra University are also within 9 mi (15 km). North Main Corona Station is 28 minutes by foot. 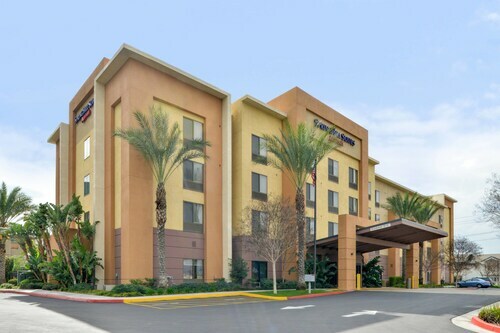 Situated in Corona, this hotel is within 9 mi (15 km) of Fender Museum, La Sierra University, and Castle Park Amusement Park. Silverlakes Sports Complex and Kaiser Permanente Hospital Riverside are also within 9 mi (15 km). Situated in Corona, this hotel is 5.4 mi (8.7 km) from Corona Heritage Park and Museum and within 12 mi (20 km) of Fender Museum and Lake Norconian. Kaiser Permanente Hospital Riverside and La Sierra University are also within 12 mi (20 km). 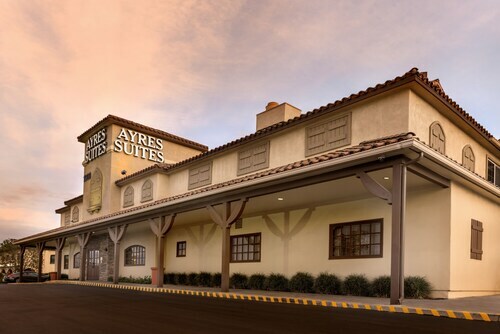 Located in the heart of Corona, this hotel is 2.7 mi (4.3 km) from Fender Museum and within 9 mi (15 km) of Corona Heritage Park and Museum and Lake Norconian. Prado Regional Park and La Sierra University are also within 9 mi (15 km). West Corona Station is 28 minutes by foot. 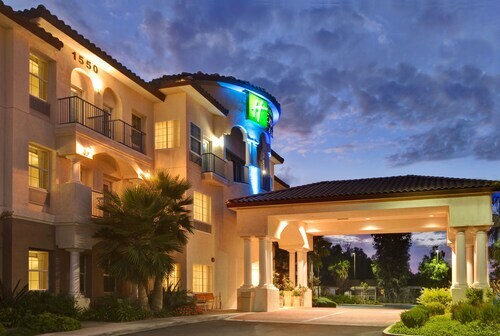 Located in the heart of Corona, this hotel is 1.9 mi (3 km) from Fender Museum and 2.9 mi (4.7 km) from Corona Heritage Park and Museum. Lake Norconian and La Sierra University are also within 9 mi (15 km). 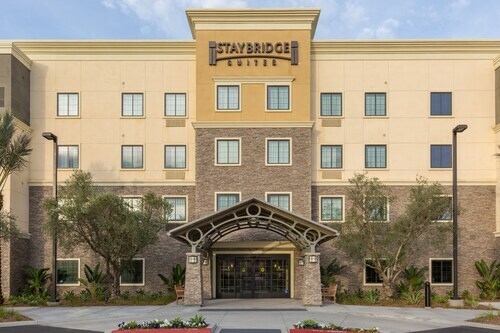 Located in the heart of Corona, this hotel is 2.7 mi (4.3 km) from La Sierra University and within 6 mi (10 km) of Fender Museum and Castle Park Amusement Park. Kaiser Permanente Hospital Riverside and Galleria at Tyler are also within 6 mi (10 km). Situated in Corona, this motel is 1.3 mi (2.1 km) from Fender Museum and within 6 mi (10 km) of Corona Heritage Park and Museum and Lake Norconian. La Sierra University and Castle Park Amusement Park are also within 9 mi (15 km). North Main Corona Station is 28 minutes by foot. 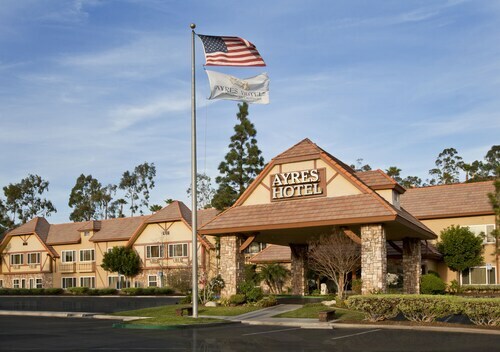 Situated in the business district, this hotel is 2.4 mi (3.8 km) from Fender Museum and 3.1 mi (4.9 km) from Corona Heritage Park and Museum. Lake Norconian and La Sierra University are also within 6 mi (10 km).